Sniffles, sore throat, occasional cough. These are common symptoms that usually have you reaching for vitamin C. Why vitamin C? It can help support a healthy immune system, working to protect the body from disease and illness. There are many different foods that are natural sources of the helpful vitamin and we’ve got the squeeze on all the information you need to know! The National Institutes of Health recommends a daily amount of 90 mg for most adult men and 75 mg for adult women. With a well-balanced diet, these amounts can be reached without taking a daily supplement. You might be consuming the recommended amount of vitamin C already and don’t even realize it! Fruits and vegetables are natural sources of the vitamin, but there are other foods and beverages that contain vitamin C as well. 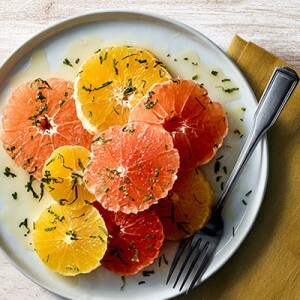 Citrus fruits: oranges and grapefruit (and their juices) are excellent sources of vitamin C.
Other fruits and vegetables: green and red bell peppers, kiwi, broccoli, strawberries, cantaloupe, potatoes and tomatoes contain vitamin C.
Some foods and beverages are fortified with vitamin C. This means the vitamin was added to the food or drink during processing to replace what was lost when the food or drink was produced or stored. To find out if vitamin C was added to the product, check the product label. 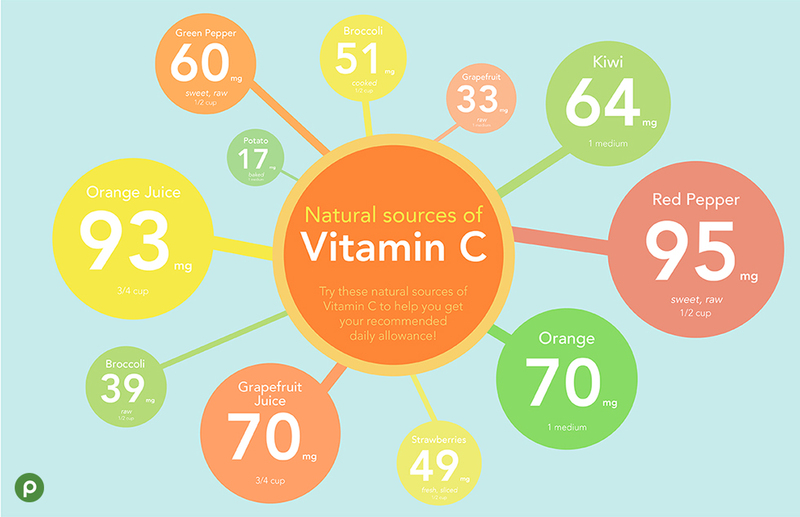 We’ve broken down just how much vitamin C each food contains so you can monitor your daily intake! It’s important to keep in mind that prolonged storage and cooking may reduce vitamin C content in food and drinks. 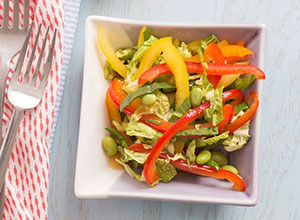 Raw vegetables and fruits often contain more vitamin C than their cooked counterparts. 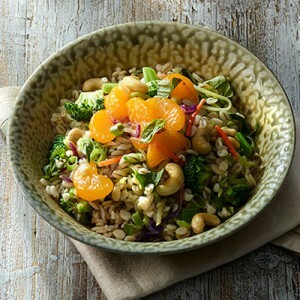 Our Aprons team put together delicious recipes full of vitamin C! How do you enjoy eating natural sources of vitamin C? Share with us in the comments below!